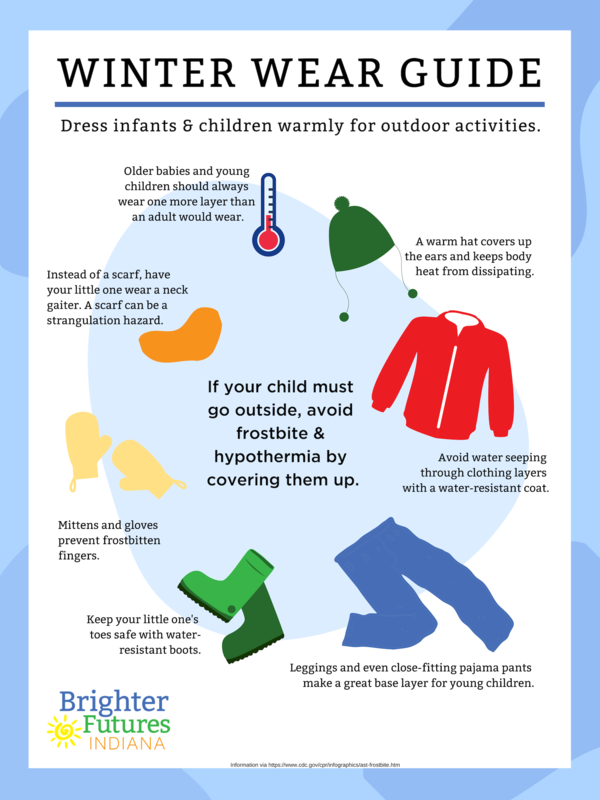 What you need to know about keeping your child safe during cold weather: from how to stay warm to tips for walking like a penguin. Cold Weather Outside, Bold Learning Inside! Babies — Your baby is exploring with all five senses and figuring out both her big and small muscles work. One-year-olds — She’s developing a sense of independence – with the fine and gross motor skills to match! Two-year-olds — When you take your toddler for a check-up, he’s learning all about the importance of good health and self-care. Three-year-olds — Your child is growing into a taller, bigger, stronger body that can do more new things every day. Pre-K learners — Caring for his health and knowing what foods and beverages are good for him are important milestones.